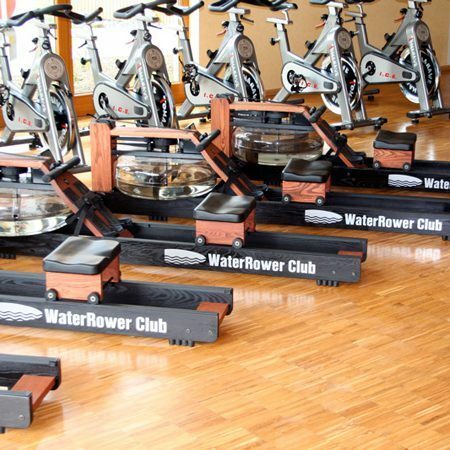 Self Regulating Resistance – like rowing, the WaterFlywheel resistance varies proportional to the users intensity. The relationship between resistance and speed responds according “the rule of cubes”. The rule of cubes dictates that a doubling of speed requires an eight fold increase in power. Self Paced – like rowing, the WaterFlywheel does not apply resistance to you, you apply work to it; you are the engine. By the “rule of cubes”, the amount of work you apply dictates the speed at which you row. From a gentle paddle to a “give it your all” workout, you are in control (read more on the Self Paced). Even Stroke – like rowing, the WaterFlywheel uses a relatively slow-moving heavy mass to generate a smooth uniform load throughout the stroke. 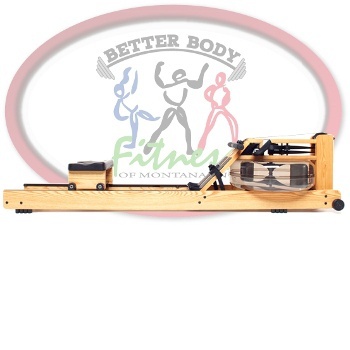 Air resistance machines, by comparison, tend to be jerky, jarring, and uneven, fading as the resistance is overcome (read more on the Even Stroke). Private and Commercial Use – WaterRower will replace or repair at its factory or nominated service centre any WaterRower or WaterRower component found to be defective in material or workmanship for a period of ONE (1) YEAR from the date of initial shipment by WaterRower. 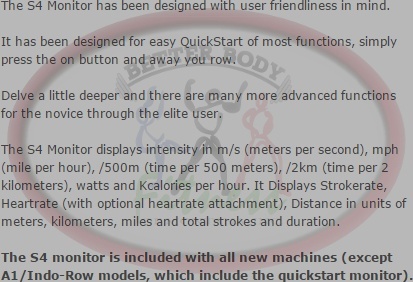 The Warranty is Upgradeable to a THREE (3) Years on all Components and Five (5) Years on all Wooden Components by registering your WaterRower within the first year of purchase. 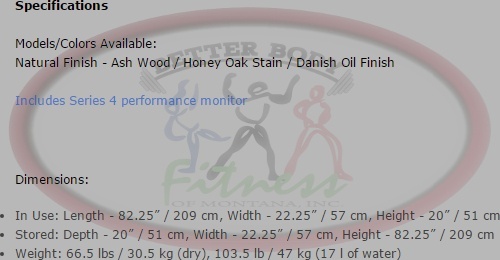 This warranty will be invalid if in the opinion of WaterRower the claim has been caused by: (a) accident, abuse, misuse, misapplication or as a result of any modification other than by WaterRower; (b) deterioration due to normal wear and tear (c) improper preventive maintenance steps as described in the WaterRower manual. The warranty will be voided if, in the opinion of WaterRower, the claim is found to be a result of: (a) improper assembly of the product, (b) usage beyond the design of the product, (c) overfilling of the tank as advised in the Assembly Manuals, (d) use of alternative purification option in tank beyond approved WaterRower product, (e) use of improper cleaning materials as described in the preventative maintenance steps, (f) use and/or storage of product in inclement weather, including but not limited, to extreme temperatures and moisture. This warranty is not transferable. 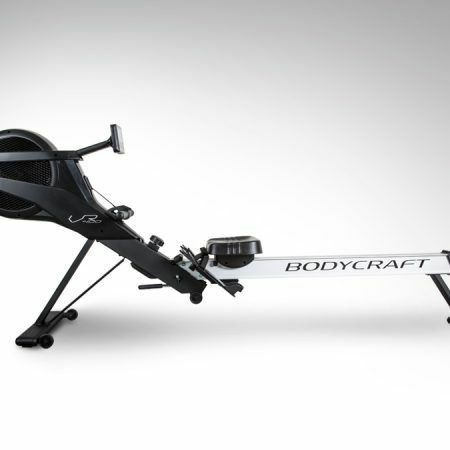 WaterRower (US) Inc. shall not be liable for any direct, consequential, incidental indirect or special damages under this warranty, or any implied warranty. 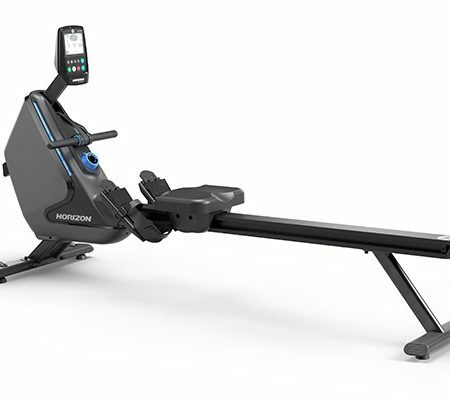 Return of the WaterRower or WaterRower component to WaterRower’s factory or nominated service centre will be the responsibility of the claimant. The WaterRower or component should be packed to protect it from damage; WaterRower will not be responsible for any damage which may occur during shipment. Postage should be prepaid and the package should contain the claimant’s name, address and telephone number, a description of the problem and proof of purchase. 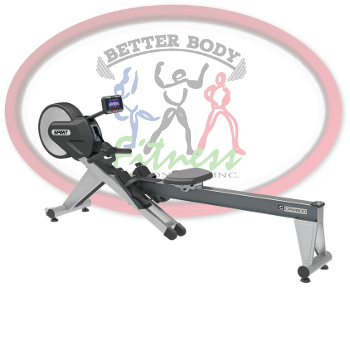 WaterRower will return the WaterRower or WaterRower component to the claimant at its (WaterRower’s) expense except in the case where the warranty has been deemed void or invalid. In the event that the warranty is found to have been void or invalid, then the costs of such investigation, repair and any associated shipping costs shall be borne by the claimant. 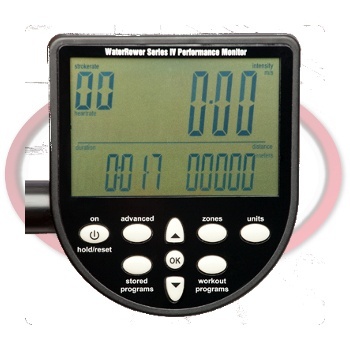 WaterRower will ground /economy ship all replacement warranty parts. Charges will apply for all alternative shipping methods. Product shipped outside of its initial purchase country may be subject to additional warranty cost and shipping charges. WaterRower warrants against any defective WaterRower spare part received from WaterRower or any authorized dealer for a period of NINETY (90) DAYS after the date of shipment. The warranty described above shall be in lieu of any other warranty, express or implied, including but not limited to, any implied warranty of merchantability or fitness for a particular purpose. The term of this warranty does not affect or prejudice the statutory rights of a consumer, neither does it limit or exclude any liability for death or personal injury caused by WaterRower’s negligence. 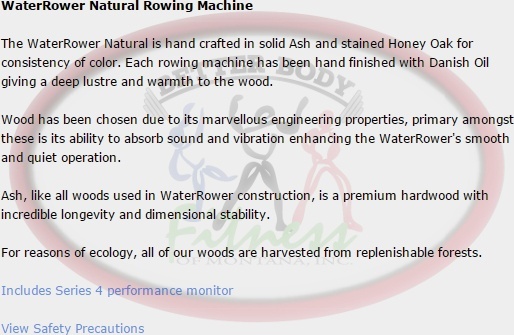 Please consult your local WaterRower office or local distributor for specific warranty details.